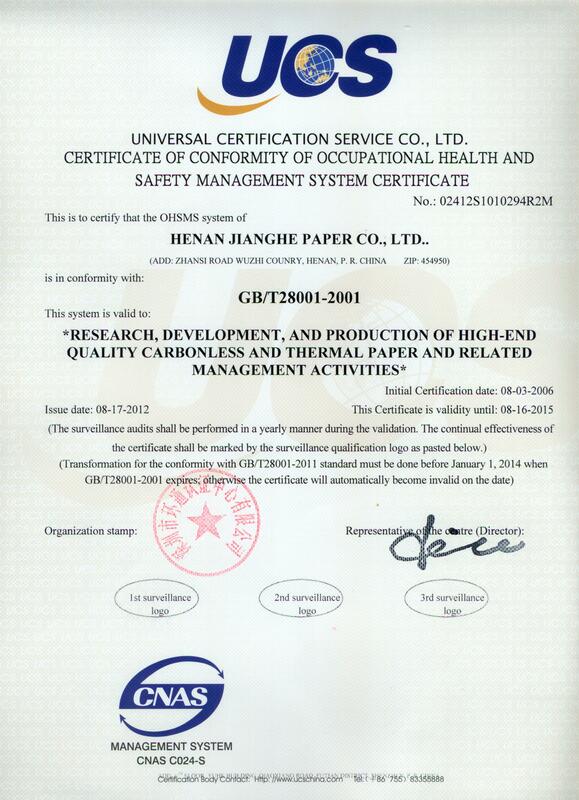 Henan Province JiangHe Paper Co.,Ltd. 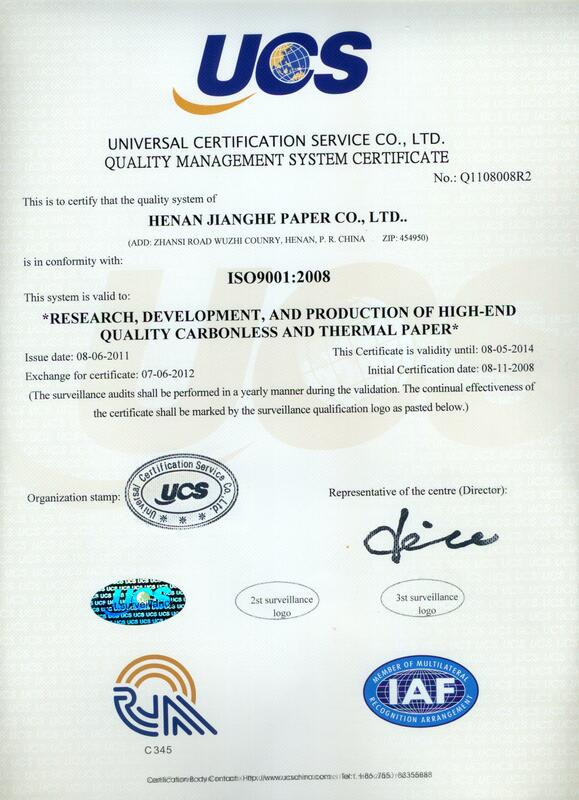 We, Henan JiangHE Paper CO., LTD (JiangHE Paper), are a specialized manufacturer for carbonless and thermal paper. 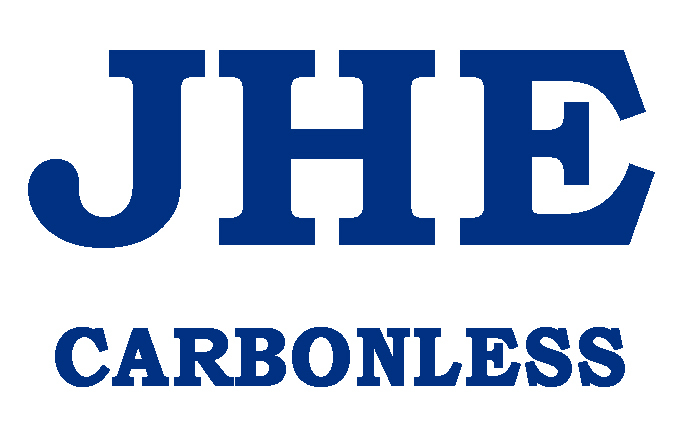 Founded only in 2002, JiangHE Paper has today become one of the biggest carbonless and thermal paper makers and exporters from China. Thanks to our strong engineering team, JiangHE Paper has over the years seen a rapid increase in its specialty paper production, from abt 40,000 t/a between 2003-2004 to 450,000 t/a today. 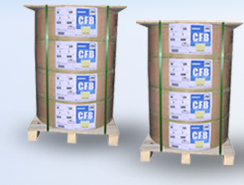 The export sales alone has increased from a mere 500 tons of carbonless paper in 2005 to around 43,000 tons carbonless and thermal paper in 2012. 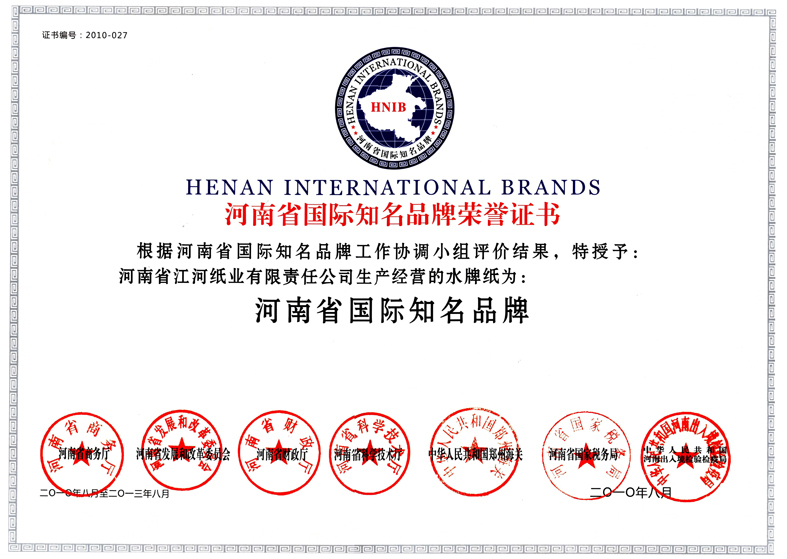 Today JiangHe paper is key exporter and our brand is the top export brand in Henan Province. 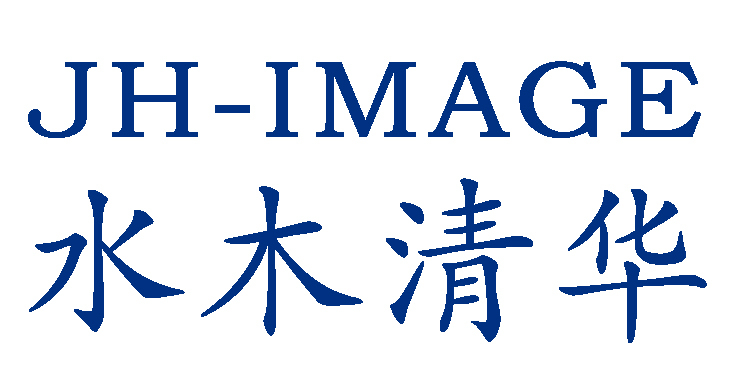 JiangHE Paper is a private business with RMB3.8bln capital asset, including a mill site of 660,000M2, six paper machines (one 2640mm wide, one 5790mm wide and four 3250 mm wide), multiple off machine coaters, slitter rewinders and sheeters for carbonless and thermal paper production. 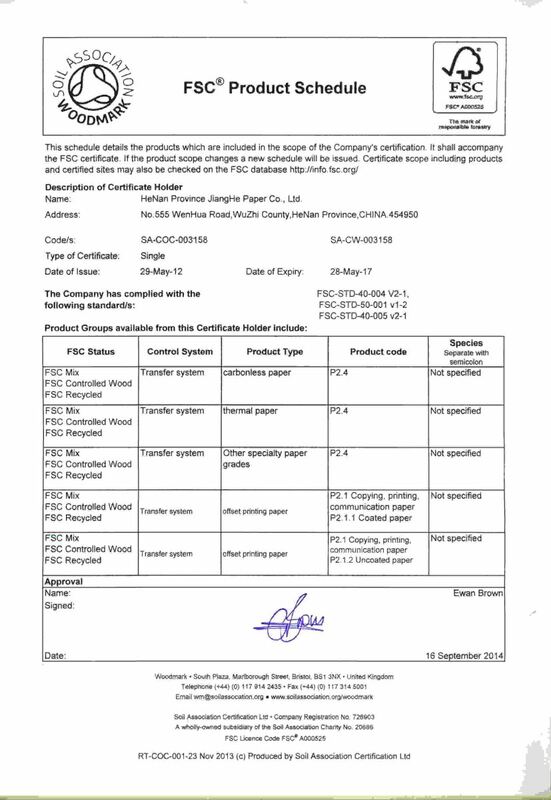 JiangHE Paper produces carbonless and thermal paper grades from 100% wood pulp under an ISO9000: 2000 certified quality system and delivers to customers white or tinted CB, CFB, CF, and thermal paper under multiple brands , , , , for our customer’s varied quality requirements, and from our new PM6, we could also offer to our customers Hi-Bulk publication grades.